33% of agents have been licensed fewer than 5 years – just 2.5 years ago at the RE/MAX Broker/Owner Convention, that number was 59%! In my predictions for 2010 I believe we will continue to see even more agents drop out of the business because of the continuous changes that are occurring and the specialization that is required of agents to serve their clientele. 53% of agents have been licensed fewer than 10 years – again, from the same conference just 2.5 years ago, it was 78% of agents were licensed fewer than 10 years. The lower this number goes, the better it is for us ethical and professional agents. And, in my opinion, you have to own what you sell – 91% of Realtors own a home compared with the national home ownership rate of 67%. 1 – Find them the right home to purchase. Do you know what this means? You have to listen! Check out my blog from earlier this week… www.scottymacsblog.com and while you are there, click the RSS feed in the lower right hand corner to subscribe to my blog site please – you don’t know what you are missing if you don’t register! Oh yeah, it’s free! 2 – To negotiate the price. Quick question…when was the last time you practiced your negotiation skills? What new techniques have you found valuable? Have you read any good blogs, books or magazine articles lately about negotiating? 3 – To negotiate the terms of the sale. Hummmm sound familiar to #2? Are you marketing yourself as a negotiator? Do you have testimonials to back you up if you do? When you meet with clients, do you have specific stories that relate to how you negotiated on behalf of a buyer in a particular situation? Oh, by the way, listening is a huge part of negotiating! 1 – Price the home competitively. You have to know your comps, market conditions, and trends to know how to price accordingly. Basically, do in depth research of the market to get it done for you seller. What are the per square foot prices, pricing trends – are they up or down and how much, the correlation between tax assessed values and sales prices, number of competing properties, average days on market, and where to price it to get maximum exposure while on the market. 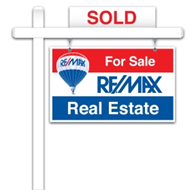 2 – Sell the home to sell within a specific timeframe. Again, this requires you to price it to sell and what else? Get it in the right condition and get it to show well…let’s see what is next! 3 – Find a buyer for the home. Well, what do you need to know to do this? You have to know where buyers go to find houses…other agents, and the internet. Basically, you have to market your listings where the buyers go to find them. Research the sites that get the most exposure, the most hits from buyers, what agents sell the most homes in the price range of the house you are selling, etc. It’s not rocket science. 4 – Market the home to potential buyers. As previously mentioned – you’ve got to know how to market on the internet – Social Media sites, your website, other real estate related sites, etc. Also you need to know what they want to see when they get there – multiple pictures and in my opinion, videos. Pictures and videos of the house, yard, views up and down the street, neighborhood, schools, and shopping centers – get creative! Also, do your research on MLS and get your listings in front of Realtors who have buyers in your properties price range – get the word out! 5 – Find ways to fix up the home to sell it for more. Have the listing pre-inspected to have the home in the right condition. When buyers see one thing wrong, they begin to look for more things that are wrong and then pick at the price. Have the home staged to have your stager recommend low cost items that get the biggest returns for your sellers. When houses are pre-inspected, staged and priced right – they sell in the timeframe your sellers desire. So you ask, what was missing. Well, in my opinion – negotiating. If you can’t negotiate, you can’t get them to price it right or get them to get it in the right condition to sell it in the timeframe they want it sold within. Also, you have to negotiate with buyers and agents to get your sellers what they want when they want it so learn how to negotiate and market yourself as a negotiator. Have specific stories that tell sellers what you have done for others to get them what they wanted from the sale of their home. The more you appeal to buyers and sellers through showing your experience in areas that are important to them, the more success you will have in our business. Get it? Got it? Good! It is true! The housing market is making its comeback. Last week we reported sales of existing homes rose 3 consecutive months and that new home sales were up in June over 3%. Well, guess what? New home sales were up 11% in July! This is more great news for us to “build” upon moving into the dog days of summer. What is the reason for this growth? There are several factors in my opinion: low rates, the right price point, multiple offers on existing homes, the tax credit and the market conditions. As we all know, rates have been low for an extended period of time and according to Ben Bernanke in his economic update, they are going to remain low as a strategy to aid in our economy’s recovery. Builders, banks and home owners alike have been reducing prices to encourage offers – well, it appears that the sale of the century for housing has worked and buyers are coming out of the woodwork. As these buyers are making offers on resale properties and losing out to other buyers, the frustration has lead them to new homes – no multiple offers on to be builts! As the tax credit has aided in getting first time buyers off the fence, it has also spurred activity in the move up market which is resulting in the increase in new home sales as well. And lastly, the market has been decreasing for over 4 years – June or July of 2005 is when we earmarked the down turn in housing. Additionally, as we all know, what goes up must come down and vice versa so it was about time for the market to change. You can’t keep a good thing down. The housing recovery is critical in so many ways to the general economy’s recovery – let’s keep the momentum moving in a positive direction by spreading the word. Get it? Got it? Good!